More and more info is leaking out about this rat’s nest of a story about the lost iPhone. Now, it turns out that Apple did indeed pressure the San Mateo County DA to investigate the situation. 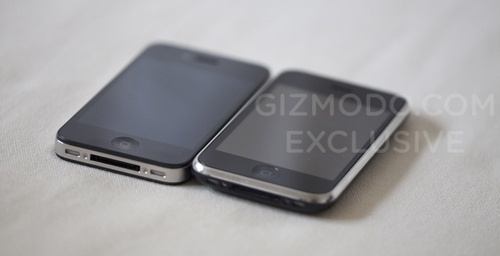 Disclosure: Up until a few months ago, I was employed by Gizmodo, but was not involved in any way with the iPhone leak. As part of an ongoing partnership, Fast Company sometimes syndicates Gizmodo stories and vice versa. First things first: for a primer on this whole situation, read our Start to Finish Timeline (which I will be updating further in just a minute!). It’ll get you right up to date, from the moment Gray Powell left his iPhone on a barstool to the police seizure of equipment at a Gizmodo editor’s house. Following the revelation that Gizmodo editor Jason Chen’s house had been broken into by the police, lots of new and curious information came to light–not unexpected, since the interested parties in this case are our colleagues in the tech journalism field, a scrappy and able bunch. They found out that REACT, the specific interdepartmental team that actually seized Chen’s equipment, has a steering committee on which many prominent Silicon Valley companies sit–including Microsoft, Adobe, Symantec, and, most importantly, Apple. Many have questioned whether Apple put pressure on REACT or on the San Mateo District Attorney’s office to investigate the alleged theft of the iPhone prototype. It was just talk, so far–while REACT has investigated based on queries from Microsoft and Adobe, Microsoft and Adobe also make probably the two most pirated pieces of software in the history of pirated software (Windows and Photoshop, respectively). Just because a company sits on the steering committee doesn’t mean they’re not also the victim of a crime, is what I’m saying. That’s confirmation from the source that Apple requested an investigation. It’s odd that REACT was then called in afterwards, instead of Apple putting pressure on them first, but legally it’s more sensible to go through the District Attorney. This doesn’t indicate that the investigation was biased or otherwise compromised, but until now, we had no idea if Apple was involved at all. Now we know–they started the whole thing. Read the iPhone leak timeline, or Choose Your Own Adventure through the saga.